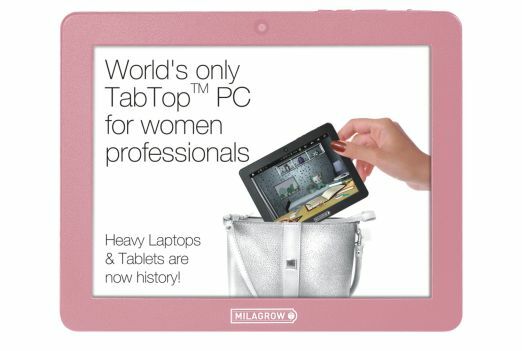 Milagrow has launched a new version of the TabTop PC, meant especially for the woman professional. Apart from coming in pastel shades, the Android 2.3.1-based TabTop PC for Women comes with more than 50 preloaded apps, a security application, a featherweight of 275 grams, as well as a special UI for women. Priced at Rs. 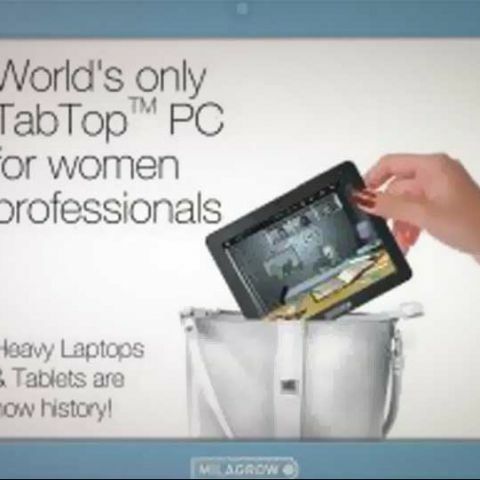 13,990, the Milagrow TabTop PC for Women comes with a 1.2GHz processor, and 512MB of DDR3 RAM. Other features include a 7-inch LED backlit 4:3 capacitive multi-touch display, 8GB of built-in storage expandable to 32GB via SD card, Wi-Fi, 3G connectivity via dongle, USB 2.0, and a 4,000 mAh battery promising more than 8 hours of battery life. It is available in four colours - pink, blue, grey and black. Milagrow had recently launched slightly higher specced Android Gingerbread tablets in the recent past. Check out our previous coverage of them here.